Single earring. 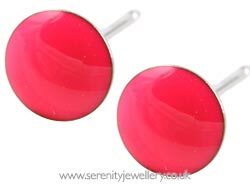 Studex Sensitive hypoallergenic surgical steel 5mm neon stud earrings. These earrings come with surgical steel butterfly backs.